Only for e-readers from Shebooks, a new e-publisher doing short books by women. Here's an interview I did about this new publishing model with Laura Fraser on The Nervous Breakdown, and a conversation with author Suzanne Paola at The Quivering Pen. 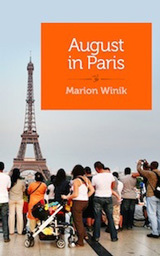 If you love David Sedaris, you’ll have to read Marion Winik’s anything-but-traditional tales of traveling with her cranky family in tow. From lost teenagers and missed connections to overpriced drinks and gambling mishaps, Winik — author of seven memoirs, and a Morning Edition commentator on NPR — illuminates the unexpected pleasures of journeying out of your comfort zone. Ranging from Paris to Peru, from New Orleans to Uganda to the Atlantis resort in the Bahamas, these travel essays are full of life, humor, and humanity. Whether or not you’re hitting the road solo or with loved ones trailing behind, you’ll want these on your e-reader before you set out. 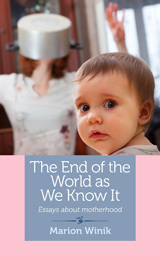 Winner of Child magazine's Book of the Year award for her hilarious and candid book on single motherhood, The Lunch-Box Chronicles, Marion Winik returns to the topic of parenting in these nine essays. Beginning with the story of her second wedding and her move to rural Pennsylvania, she covers everything from blending families and having a child in one's 40s to dealing with the legal problems of teenage boys to the evolution of the values of a family over generations. The central essay of the group, "The Story of Laurie," focuses on Winik's profound friendship with a mom she at first believes she has little in common with. As they get to know each other, she comes to understand just how wrong she was. 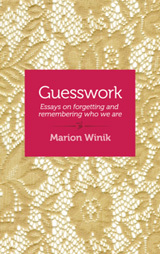 Memory and identity are the focus of this new collection, Guesswork, drawn from a column that has won "Best of Baltimore" from Baltimore magazine several years running. "The Things They Googled" looks at how search engines have changed our lives. "Love, Loss, and What I Cooked" takes autobiography to the kitchen. "What If You Were Right?" and "What If You Were Wrong?" highlight the way possibly incorrect interpretations of long-ago events subtly radiate through our lives over the years. These eight essays will inspire you to reconsider your own history and sense of self from new angles: how treasured places and objects fit in, how your life as a reader shapes who you are.